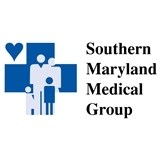 Southern Maryland Medical Group (Camp Springs) - Book Appointment Online! Practice requires patients to fill out check-in documents and insurance information at time of booking. Most people have fond memories of the caring treatment they received from their family doctor as they were growing up. From broken bones to routine checkups, their doctor was always there when they needed medical attention. Southern Maryland Medical Group is committed to maintaining a combination of old-fashioned skill and care with modern knowledge and technology. Emergencies such as burns or cuts can happen quickly. Viruses includingcolds and the flu, bacterial infections or high blood pressure often require immediate attention. That’s when you need the reliable services of a regular family physician familiar with your medical history and the state of your health to provide the first line of defense against a serious illness.